Are you looking for eight port network switch ?. 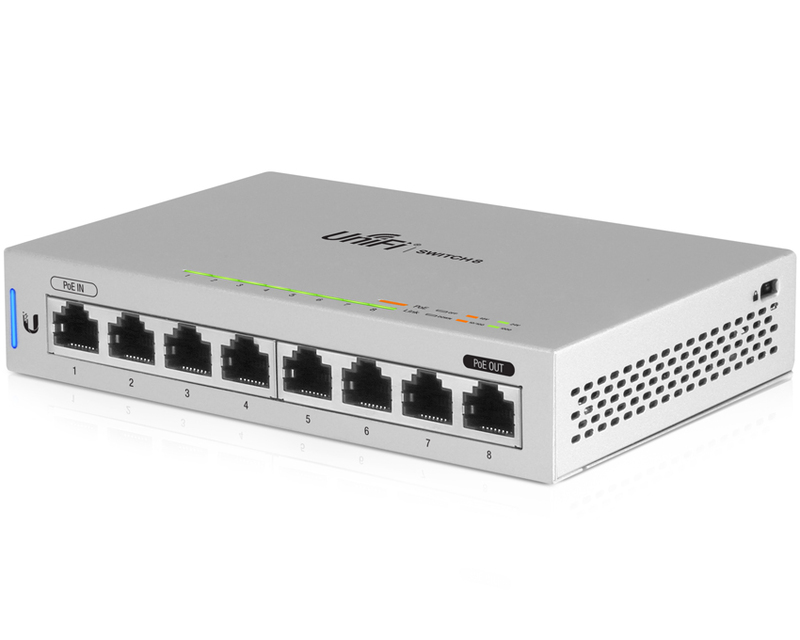 The Ubiquiti UniFi Switch 8 5 Pack is a non-PoE 8 port gigabit perfect switch for every small network, which supports PoE passthrough. It is perfect for cleanly adding Ethernet ports where needed, all in a compact form factor. Just like every other UniFi Switches, the US-8 is fully manageable, delivering robust performance for your network.